Carmelo Anthony, still beating Lebron James in FGA Attempts! It’s almost time for Game 2 of the NBA Finals, but that won’t stop Carmelo Anthony from being the Postseason shotjacking champ! Our reigning hero decided he was gonna be the field goal attempts leader, and now a round or two after the New York Knicks were eliminated, he remains the king! Here’s a man, who backs up his talk. He puts his head down and bullies his way into the three point line. He brought the Knicks back into that coveted 2nd round spot bitterly lost by the Atlanta Hawks. He’s taken the team on his shoulders, and shown that dreams do come true. Unless it deals with a man’s Honey Nut Cheerios, than back away from the bowl! One wonders with 310 field goal attempts this NBA playoffs, what kind of sophisticated offensive scheme did Knicks Coach Mike Woodson run? It looks almost European in design with all the cutting, passing and lack of ISO play. Even more amazing than this Carmelo Anthony playoff stat, is that chucking contemporary and teammate J.R Smith did not make this list! Looks like there’s alot of work to be done this offseason, if J.R can’t even beat out a center like Hibbert in shot attempts. On the Knicks, a center would never even see the ball in the first place! Especially if it involved pesky things like rebounding. 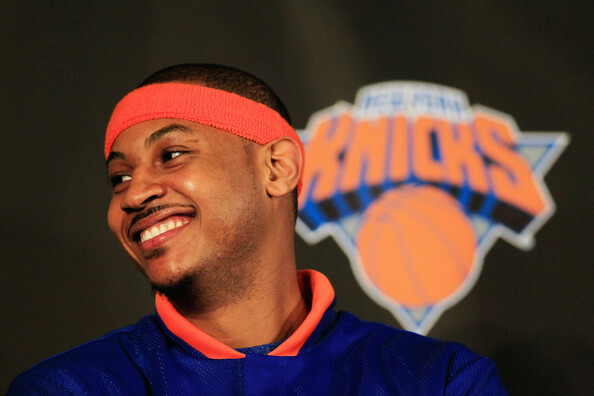 Where does Carmelo Anthony go from here? Will he up his shots to bring the Knicks to an ECF playoff birth next year, pass more, or simply let ole’ Mike Woodson get the axe? Decisions, decisions! Looks like a tough offseason is ahead of the New York Knicks!